Make us your Bondi Removals. Always Moving Stuff are the BEST in the Bondi Removals business. Bondi Removals is a furniture removals service operated by Always Moving. We provide removals from Bondi to any other place in Sydney, interstate or to another address in Bondi. We have been around for over 25 years. We use only experienced Bondi Removals teams. Our removalists understand the importance of giving you the best possible service from start to finish. Moving can be quite a stressful event when not planned in the correct manner. Always Moving Stuff will provide customers many years of our professionalism and experience at no extra cost. We will let you know, how you are able to get the best value when relocating to a new location. We can also move your furniture and office furniture into the Bondi area. Actually we can move it to any location which you are moving in or out of. Don’t forget to ask about our various storage options on our premises located in the vicinity of Bondi. Knowing the days and times which you are able to move out and in, well in advance letting next door occupants know of any blocking of driveways. A lot of buildings in Bondi don’t provide loading dock facilities for furniture to be moved in and out. Parking in the street is all about hit and miss. It may not be possible to park at all or removalists may have to wait a considerable amount of time before safe parking can be found. Ask your Bondi Removals Company when the time actually starts if you are paying an hourly rate. While the driver is looking for a parking spot, is the other member of the team allowed to start moving small items and already packed boxes to a location in close proximity to where they need to be loaded? If suitable parking can’t be found in close proximity, can the driver park in another street or perhaps down or up the street so the move can begin. When moving out let other occupants be aware. You may need to block a driveway coming into the building. Lets other residents know in advance so they can get their cars out of the garage beforehand. Residents do not want to be blocked in until you have fully moved in. Living in a house gives you the freedom of being able to vacate a property without having to ask permission. Occupiers of units in a ‘Strata management scheme and ‘Company title blocks’ may need to inform the executive committee well in advance. We recommend that you read and understand the strata by-laws. Each strata block in the Bondi area is not going to be the same. Ask first and then organise, please don’t assume. Speak to your strata manager, building manager or real estate agent for properties rented. You may have to get in contact with the executive committee of the building. The strata manager may notify the executive committee to make arrangements for one of their members to be present at the time of vacating or moving in. This does not guarantee that a member will be present. Removalists or who ever is assigned to assist can start the moving process across common property within normal business hours. This would be 7am on most days except Sundays. Moving in to a new strata block should be finished by a reasonable time. The whole idea is that both the removalists and occupiers need to respect the spaces especially on common property and in public areas. Removalists should not park their vans across driveways blocking cars from exiting the property. Residents need to be informed in advance and suitable parking requirements prior need to be arranged. Inside buildings removalists should not start to transport big items of furniture when they see another person walking up or down the stairway. Occupiers of other lots need to respect and not interfere with the space required by the removalists to do their job in the safest manner possible. Who does not know Penkivil St Bondi? Most building on this famous road connecting Bondi Rd to Old South Hd Rd have no loading facilities for trucks. The Waverley council allows 7 storey apartment blocks to be built with no loading docks. Removalist trucks use the driveways of other buildings to load goods often creating a dangerous zone for pedestrians by clogging the footpaths. We have seen it all by other removal companies doing jobs in Bondi who do not arrange these important matters prior. Don’t get caught without a quote in advance in the busy suburb of Bondi. Hourly rates can be deadly when no parking is available close to the building. Hours will be loaded on to the final bill and you will wonder why the cheap Bondi Removals with the best hourly rate, but at the end it was more expensive than a company who does the job properly from the beginning at the correct price. Always Moving Stuff understands the needs and wants of our customers. Our business is continually expanding in a competitive market. We are a customer focused business who rely on what other people tell their colleagues and friends. 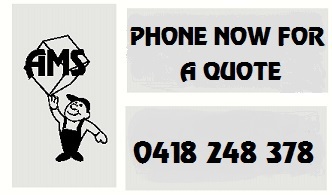 Yes, recommendations is our best source of continual business from other Bondi and surrounding customers. Let us give you a spot on quote. You will pay less with Always Moving Stuff than companies who quote ridiculous low rates in order to get the job and then finish it with the all excuses of the high price. They will even call you after loading to notify you of extra payment before they can place the items or furniture at the new location. The low rates become very expensive due to all the extras which they did not tell you about. Don’t get caught out. Research and read reviews if you are searching for cheap removals bondi.